Alberta Innovates Bio Solutions (AI Bio) and the Climate Change and Emissions Management Corporation (CCEMC) have teamed up to reduce greenhouse gas (GHG) emissions from industries like forestry, agriculture, and landfills. The work will help the province meet its climate change strategy goal of reducing net emissions by 50 megatonnes of carbon dioxide equivalent per year by 2020. Conversion of slash piles into biochar instead of burning them would avoid the release of emissions into the air, while creating a nutrient-rich soil additive. The Biological GHG Management Program will offer support for projects that discover, develop and deploy technologies and strategies and demonstrate cost-effective ways and means to help meet Alberta's climate change goal. The CCEMC will provide $8.4 million over three years in match funding while AI Bio will provide the administrative and advisory services to gather, evaluate, and monitor progress on selected projects. The CCEMC manages a fund from levies paid by large, final emitters to Alberta's Ministry of Environment and Sustainable Resource Development. The funds are used to expand climate change knowledge, develop new 'clean' technologies and explore practical ways to implement them. To date, CCEMC has made investments in the areas of cleaner energy production, conservation and efficiency, and carbon capture and storage. Now, through the Biological GHG Management Program, the CCEMC is increasing efforts to address emissions through biological sources. AI Bio has a network of experts and a focus on innovation to make the best use of Alberta's biological resources. Program Executive Director Dr. Susan Wood-Bohm says that as a result, AI Bio was a natural collaborator with the CCEMC to manage the delivery of this program and was eager to do so because of how the program also fits with AI Bio's mandate. "AI Bio has been working very closely with forest companies to look for new market opportunities, new ways to address forest and processing waste streams, and they have been looking together for new ways to find market share or enhance the value of the forest industry," says Wood-Bohm. "AI Bio also has a very strong link into the research cadre within the province." Additionally, AI Bio is working to help industry become more involved in the areas of ecosystem services, such as conservation and greenhouse gas offsets, and helping industry become more familiar with the protocols developed to support the offset market. "One of AI Bio's streams of focus is on ecosystem services and the greenhouse gas question fits quite nicely into that portfolio as well," says Wood-Bohm. Preliminary plans include issuing a call for proposals for biological projects in 2014. In general, Wood-Bohm says the forest industry could become involved in this program by exploring opportunities to reduce GHG emissions by looking at carbon and nitrogen cycling in the growing and harvested forest or in the production stream. Potential projects could include further development of processes like pyrolysis technology and the production of biochar, developing more efficient ways to operate the transportation network needed to transport wood from the bush to wood processing centres, and managing slash piles that are currently left in the bush and burned, which releases a considerable volume of GHG's into the atmosphere. Projects that demonstrate innovative out-of-the-box thinking and very large potential opportunities to reduce or avoid GHG emissions are of particular interest. The forest industry has expressed considerable interest in wanting to participate in this program. Wood-Bohm emphasized that the program will not fund projects related to the use of forestry byproducts to produce bioenergy, as this is covered through another CCEMC funding stream. Preliminary plans have funds for the Biological GHG Management Program allocated from three pools. The first is "enabling projects". These are larger-scale, demonstration-style projects that function through the operation of multi-stakeholder teams over a typical three year period. Projects include those that hold promise for delivery of over one megatonne of carbon dioxide equivalent per year of emission reductions or enhanced sequestration when scaled to the provincial level. The second is "accelerator projects". These are smaller-scale, one-year projects that are intended to address a specific knowledge gap in science, technology, market-readiness or policy change implications. The accelerator fund will also support analysis of novel concepts with significant potential for biological GHG management. For more information about the Biological GHG Management Program, contact Susan Wood-Bohm at Susan.wood-bohm@albertainnovates.ca. Communities and businesses in rural Alberta spend millions of dollars each year to heat buildings. Providing heat using a hot water system that burns readily available waste wood and agricultural biomass—instead of fossil fuels—has the potential to pay for itself quickly in energy savings, drastically reducing heating costs, and keeping energy costs predictable. The question is where communities and businesses can go to find out if a hot water heating system using biomass is technically and economically feasible for them. The answer is the Alberta Agriculture and Rural Development Department. Toso Bozic, Bioenergy Specialist and Agroforester with Alberta Agriculture and Rural Development, says it's his job to help communities and businesses do the pre-feasibility work. This process educates potential organizations about what's possible, introduces them to proven suppliers of these types of heating systems, provides a step-by-step plan for installing a system, puts a dollar cost to the project, and estimates how quickly the system will pay for itself. "The most proven technology is in Europe because they have been heating buildings using wood and agriculture waste for decades," says Bozic. "It's my job to take away the mystery surrounding biomass-based heating systems for communities and businesses so they end up with an economical system that works." In fact, through funding support Bozic obtained from the Agriculture & Food Council of Alberta (Canadian Agricultural Adaptation Program), he may provide up to $5,000 to conduct a pre-feasibility study for communities and businesses serious about switching to biomass-based heat, which represents about half the cost of the study. The study will also identify potential long term supplies of biomass within close proximity to the heating system. It is possible to install systems that not only provide heat, but also electricity. Municipalities like the County of Strathcona and Camrose County have already made the transition to heating with biomass. Through the great leadership and vision of Camrose County officials and administration, they are the first county in Alberta to pursue wood biomass for their energy needs. Camrose County has spent $220,000 to install and tie in a KOB biomass heating system to its existing boiler system to heat 32,000 square feet of office space. It expects to achieve payback in seven years. The other leader in renewable projects beside Camrose County is Strathcona County. To pursue this project, the Alberta Food Council, Alberta Innovates Technology Futures and Strathcona County have spent $1 million to install a Lambion Energy Solutions heating system to provide heat to nine of the county's buildings consisting of 820,000 square feet in Sherwood Park. 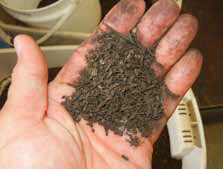 The system can burn either wood or agriculture waste such as straw. It came on line in September. Strathcona County expects to achieve payback in five years, when comparing the cost of installing and operating its biomass-based heating system to the average price the county has paid for natural gas. Bozic says these projects are only the very tip of the proverbial iceberg. He says the potential for Alberta's rural communities and businesses to install biomass heating systems is massive. Also, biomass is a renewable resource and makes better use of wood and agricultural waste material that is often landfilled, burned or left to rot. "That wood waste has to go somewhere," Bozic says. "For example, right now many communities and businesses are paying to transport wood waste to landfills. The cost of landfilling that material could go toward paying for a biomass heating system, and the wood waste is put to use as an energy source." In the case of Strathcona County, they have signed an agreement with wood pallet manufacturer Northstar Pallets to provide the county's new biomass hot water heating system with 1400 tonnes of processed wood waste material throughout the heating season. The processed wood waste is loaded into portable bins at Northstar Pallets. BFI Waste Management trucks then pick up the bins and place them into designated slots at the front end of the Lambion Energy Solutions heating system so that an auger can retrieve the wood waste fuel from each bin and feed the boiler burner. Burning the wood waste heats water to about 95 degrees Celsius and then the hot water is circulated throughout the nine county buildings on a community heat network. The heating system consumes about one bin of wood waste every 24 hours. Given the success of this project, German-based Lambion Energy Solutions intends to open an office in Alberta, which will provide easier local access to technical support for its systems. 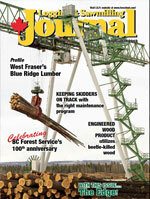 KOB wood boilers are available through a dealer in British Columbia, Fink Machine Inc. Advice and assistance to facilitate the installation of biomass-based heating systems in businesses is also available through Alberta Agriculture and Rural Development. Bozic will work with any community or rural business to help them investigate and organize potential installation of wood biomass heating systems in their community or business. Advice and assistance to facilitate the installation of biomass-based heating systems in communities and businesses is available through Alberta Agriculture and Rural Development. For more information about investigating the feasibility of a biomass-based heating system for your Alberta municipality or business and to apply for financial support to conduct a pre-feasibility study, contact Toso Bozic at toso.bozic@gov.ab.ca. Back in the early 1980s, many Canadian jurisdictions recognized that the application of traditional reforestation practices for harvested boreal mixed wood forest sites was not resulting in the desired productivity and sustainability outcomes. More specifically, there was a noticeable drop in the volume of white spruce being regenerated, an important commercial species for the forest industry. "We weren't matching the species distribution and the volume that we basically had on the land base previously," says Derek Sidders, Canadian Wood Fibre Centre (CWFC) Regional Coordinator for the Prairies. "And the site productivity and species composition was being influenced directly by the reforestation practices that were being implemented." So in the 1980s and 1990s, there was a move to reduce the backlog of reforestation work needed to improve site productivity on a large number of hectares of mixed wood sites through the use of more advanced silivicultural systems. The initiative was a success and resulted in the development of numerous reforestation options that are now available for forest managers to actually manipulate the species mix when reforesting sites. This allows companies and landowners to meet specific management objectives, while maintaining the ecological integrity of the sites. The CWFC, through its Boreal Mixed Wood Fibre Initiative, has an ongoing program to evaluate the results of the application of these advanced reforestation systems. It continues to regularly monitor many established sample sites and is working to refine advanced management techniques to enhance the production of fibre attributes that can generate valuable and diverse products for industry. "We are looking at refining management practices to be cost effective, but also to manage forests based on species mix, distribution and rotation age," says Sidders. He adds that this work fits well with the CWFC's mandate as part of the Boreal Mixed Wood Fibre Initiative, which is to look for opportunities to enhance value from the forest resource. He describes the work and the research information gathered as part of the backlog reforestation initiative as a "phenomenal nest egg of knowledge and demonstration sites" that is proving invaluable for CWFC researchers, research partners, provincial governments, and industry. "We're able to now prove that we can establish seedlings in a shorter time frame than natural systems, that the growth trajectories are very similar to natural systems once they are established, and that we have a pretty good handle on the potential production volume," says Sidders. "We can work with pure species or mixed species to maximize potential value for industry." The actual reforestation work done on thousands of hectares, which had been classified as "backlog", was conducted by the forest leaseholders or governments themselves as part of their forest management obligations. Sidders, who was directly involved in the implementation of the backlog reforestation initiative, says this was a time when new site preparation technologies from Europe such as disc trenchers and mounders, which were adapted to North American conditions, were introduced into Canadian forestry. There was also a move toward more sophisticated, domestically-developed tools such as selective high speed mixing tools and broadcast mixing tools that manipulated the soil in a manner that created a broad, consistent medium for seedling establishment while controlling vegetation early. When properly applied, these new reforestation techniques and technologies resulted in a dramatic improvement in overall stand productivity and health in boreal mixed wood stands. As it relates to the boreal mixed wood forest on the Prairies, the purpose of the backlog reforestation initiative emphasized the re-establishment and expansion of white spruce in the mixed wood sites, which were being reduced by hardwoods when minimal intensive reforestation practices were occurring. Now, 30 years later, not only has the volume of white spruce improved significantly, but industry also has a choice of which proven techniques to implement to improve species mix. "We're basically manipulating the stands to take advantage of the hardwoods which are regenerating naturally, and adding the softwood component evenly distributed and trying to establish it in a fairly consistent manner. By doing this, we can shrink the lag time in its establishment in the mixed wood scenario and maximize the distribution, so that we have full occupancy of both softwood and hardwood," says Sidders. The backlog initiative, which saw the implementation of a variety of advanced reforestation systems, yielded some interesting findings related to boreal mixed wood stand productivity. "What we've found is that the volume on these reforested sites doesn't change, but it is possible to manipulate the species mix through the application of certain reforestation practices," says Sidders. This is essentially accomplished through the processes of site preparation, such as creating adequate micro-sites for spruce seedlings to maximize seedling establishment, survival and growth, as well as vegetation management such as controlling competition around the seedlings. Sites were also patterned to establish seedlings in a consistent manner. For more information on the Boreal Mixed Wood Initiative, contact Derek Sidders at (780) 435-7355 or dsidders@nrcan.gc.ca.